Erringden Parish Councillors, Fiona Gibbon, Alan Wright and Fay Blackburn, disappointed with the huge new wind-turbines on hills behind Todmorden. ruining scenic views of Stoodley Pike. Furious residents of a rural Calder Valley community are up in arms over what they call the “ruination of the landscape” by wind turbines. Parish councillors say irreparable damage has been caused not only to the stunning Pennine landscape, but also to Erringden’s heritage. The huge new wind-turbines on hills behind Todmorden. ruining scenic views of Stoodley Pike. And in a defiant stance against wind farms, Erringden Parish Council passed a damning resolution asserting their opposition. A section of the resolution stated: “Erringden Parish Council is appalled at the ruination of our landscape by the latest batch of huge wind turbines. Erringden Parish Councillor, Fay Blackburn, said: “They went up at the beginning of the year and they are huge, they are around 200 metres high. “About eight weeks ago, I looked across to Stoodley Pike and there were more up and more under construction. “I just think they are a total waste of money, they are not viable. To put these in, it needs nearly 1000 tonnes of concrete. “They have to dig down and then pile all the concrete and steel in. Is that ‘green’? Destroying moorland? “The life span of wind turbines is about 25 years, when they need to be removed the wind farm companies may not be in operation. Who is going to pay for their removal? “If it wasn’t for subsidies, they could not be built, we are paying for them and I would like to see the subsidies completely stopped. Richard Seaman, Calderdale Council’s development manager, said: “The principle of constructing five wind turbines on this hillside was accepted by a Planning Inspector in 2009 following a Public Inquiry. It is not the first time wind turbines have come in for criticism in Calderdale. In October last year, Todmorden residents celebrated after Calderdale Council rejected plans to build four three-blade turbines towering between 360 - 390 feet (110 and 125-metres) at a site near to Gorpley Reservoir. Council planning chiefs refused the application on the grounds that Gorpley wind farm would have “significant, adverse landscape and visual effects” on landscape character across the area. 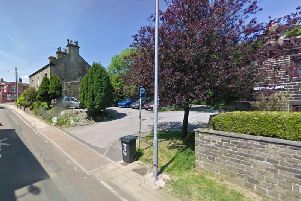 But in a blow to campaigners, an appeal was lodged by Kelda Water Services to the planning inspectorate, resurrecting the possibility of more wind turbines becoming a part of the Calderdale panorama. A planning appeal date has been set for Tuesday November 24 2015. Erringden Parish Council is appalled at the ruination of our landscape by the latest batch of huge wind turbines. Nothing can repair the damage done to our wonderful Pennine panorama by these oversize monstrosities. Stoodley Pike has stood in magnificent lone splendour above the upper Calder Valley for 200 years as a monument to what was hoped would be European peace. Now it can only be viewed from much of Erringden as an alien testament to mans expensive and largely useless effort to save the planet from global warming. Erringden’s heritage has been eroded withour our consent, to what feels like very little purpose.